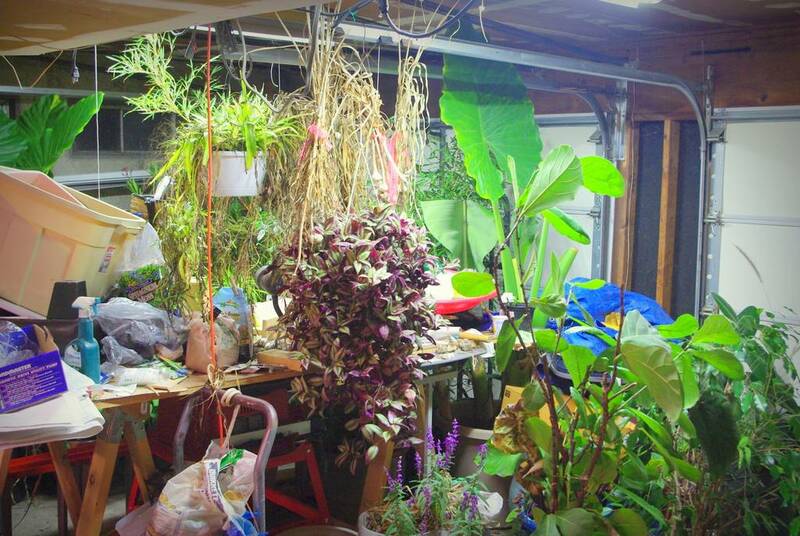 I thought last year was bad, but this year it's even worse, as somehow I have more plants than ever, plus the extensive trips away from home this summer left the garage a lot messier than I like it -- the area in front of the workbench was especially cluttered with potting supplies, tubs, and tools. That doesn't matter when trying to save tender plants though -- they just get jammed anywhere they can fit. I sure wish I had south-facing windows, or maybe even a sunroom. Sigh. I've left some space for walking at least, but not much else. 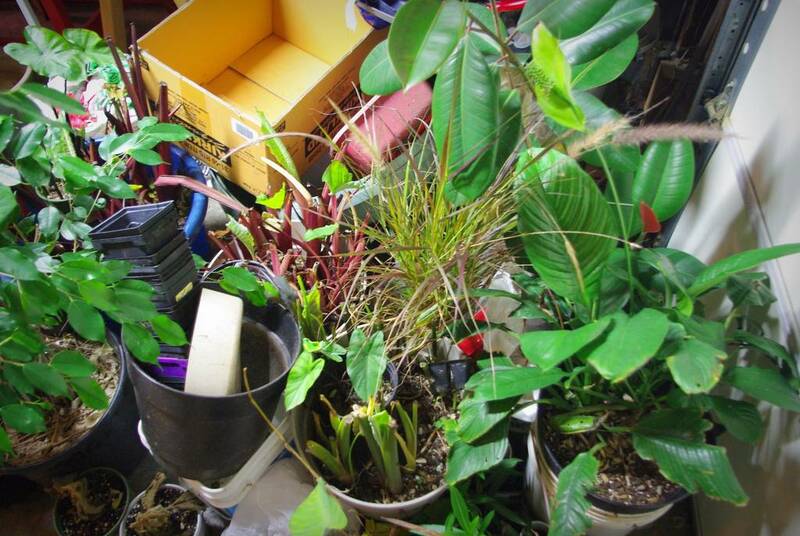 My work table is unusable right now, as things got moved up there to make room on the floor for pots (below). There's my red potting sled -- remember it from previous posts? There's so much I need to do: move the garlic, take cuttings, make divisions, and of course organize. The weather this weekend is supposed to be quite warm, so I'm hoping to get a chance to straighten this all up, even though it means pulling most of the plants out again, cleaning the garage, then putting them back away. I think I'll try to get that huge couch out of there too -- if I don't do it now it will be trapped until the spring and I'm really getting tired of it. 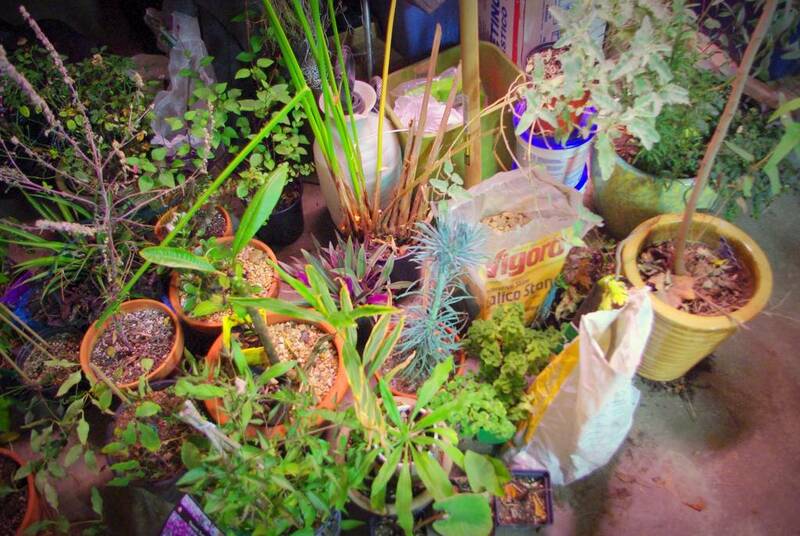 Some of these plants will end up inside the house, in the warmth and under the lights. Unfortunately the area around my growing table in the basement needs a bit of a tidying too, so moving these is not a simple job either. 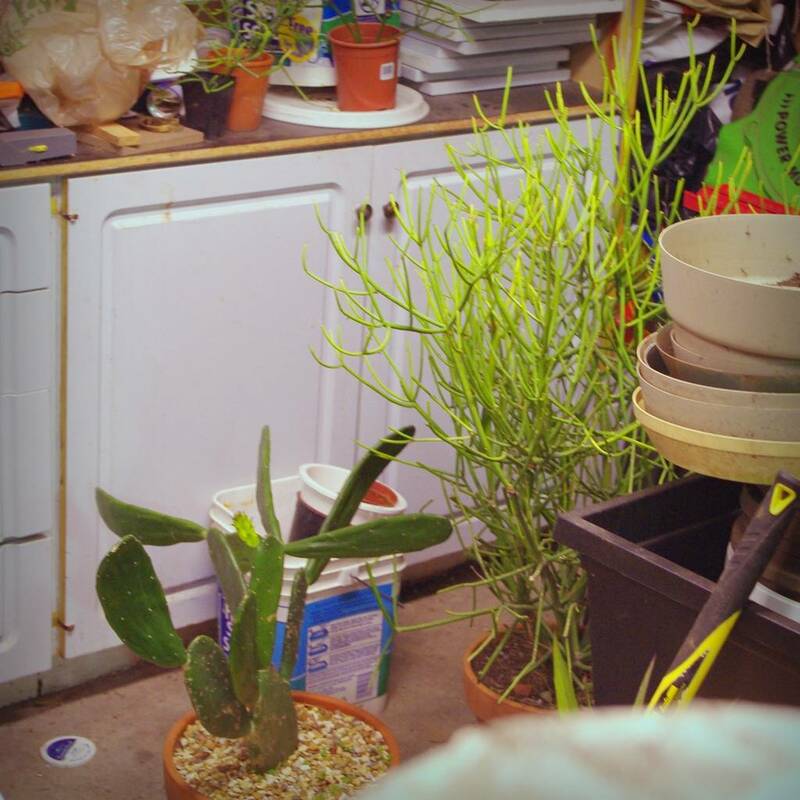 I think next year I'll have to take a serious look at which of these plants is really important to me, and try to reduce the garage-based overwintering. Who am I kidding? 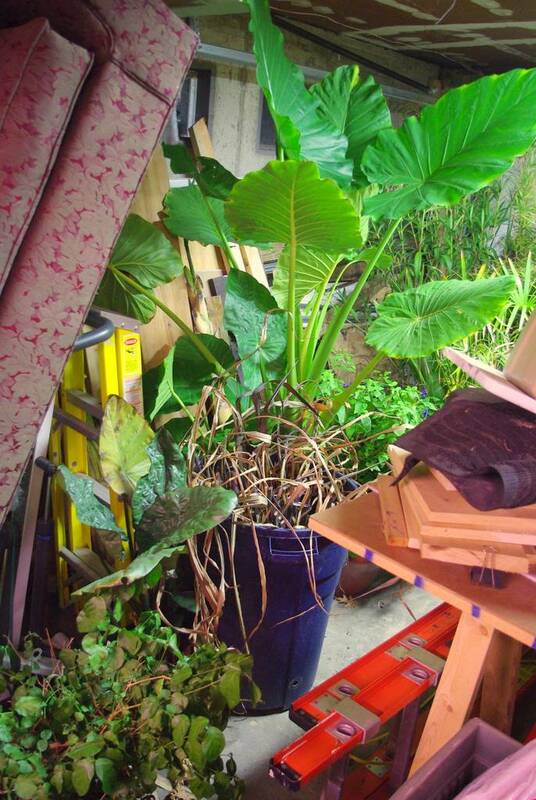 Next year you probably won't be able to see the work table or floor in here at all, as I'll have twice as many plants! I'm surprised they survive - but having an indoor jungle like this looks fun. I should have mentioned that the cool temperature in the garage (40F/4C low, usually less than 50F/10C) keep all of the plants semi-dormant, so little light and no water (or very little) is required.